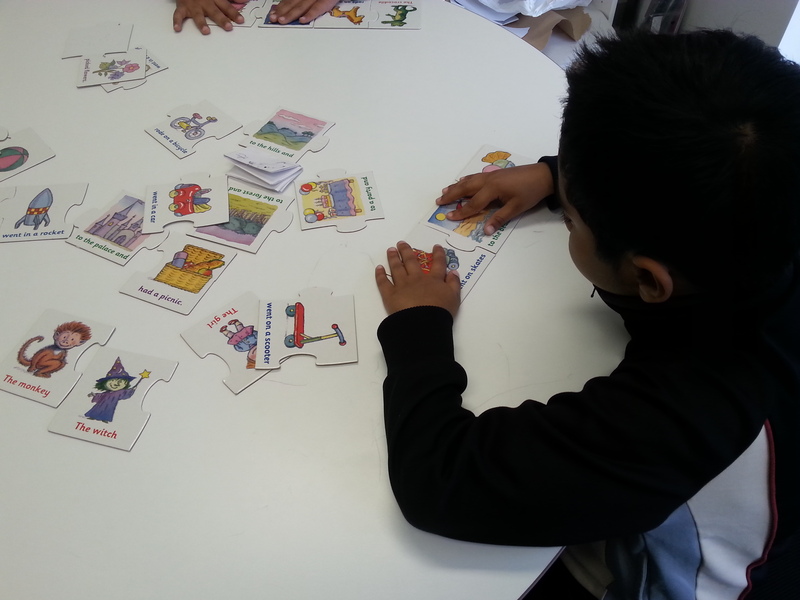 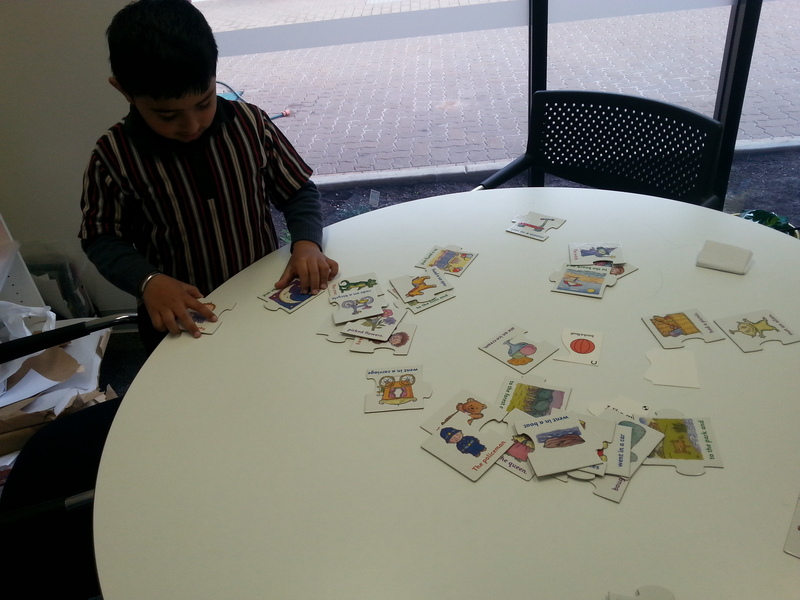 Last week, Dev, Yuvraj and Duy ( yr 1) looked at the structure of a sentence but in a more fun way. 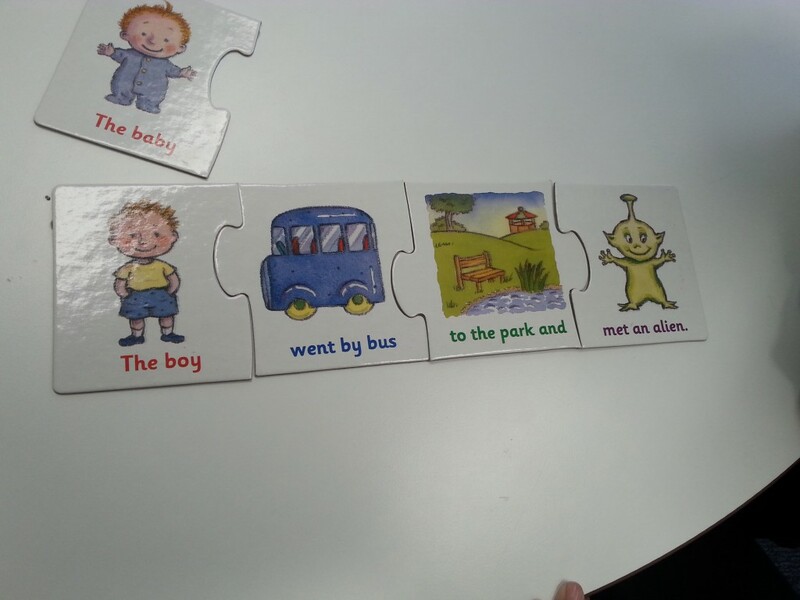 First, they had to work out how puzzle bits go together. 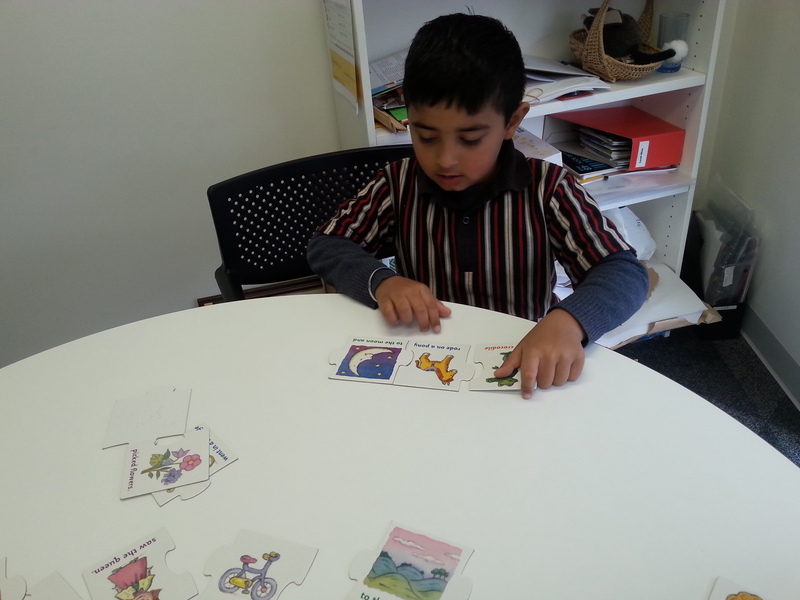 Yuvraj is starting to see a pattern: the red colour writing ( the doer) always goes at the beginning! 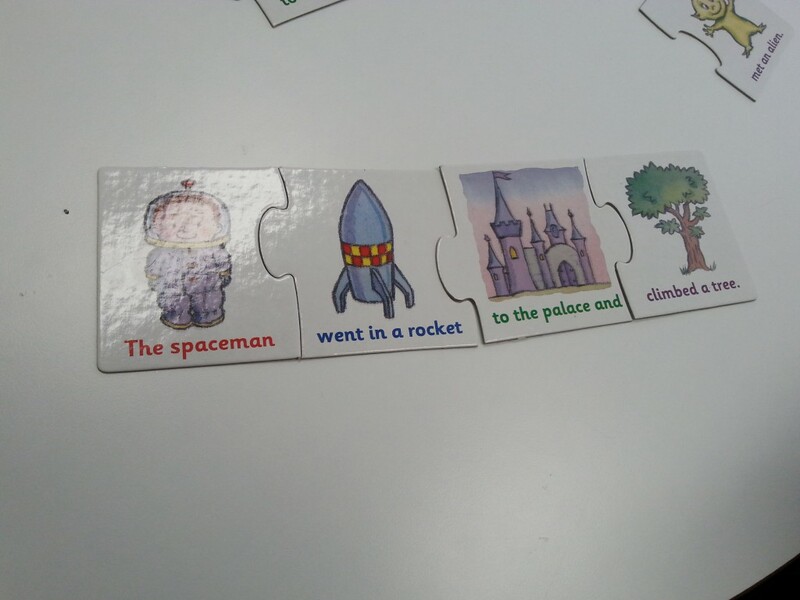 Next lesson: naming and identifying the different parts of a sentence: the doer( noun), the verb ( the action) as well as linking sentences with conjunctions.